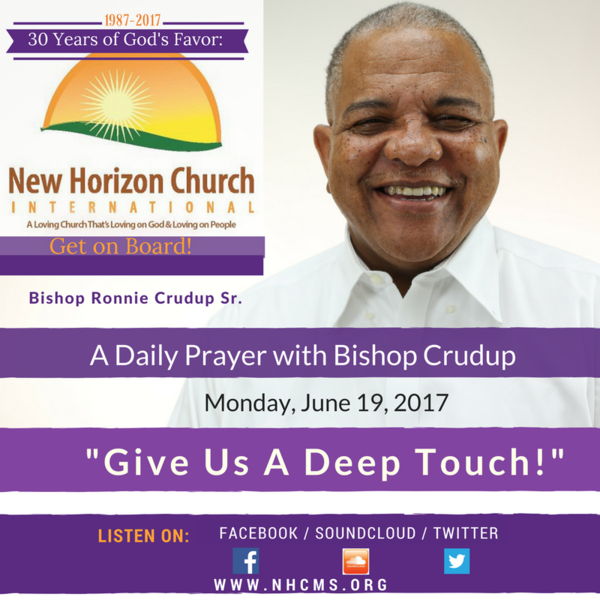 For Monday, June 19, 2017, A Daily Prayer with Bishop Crudup praise "Give Us A Deep Touch!" Monday, March 6, 2017, A Daily Prayer With Bishop Crudup "Inhabit Us O Lord!" Thursday, March 9, 2017, A Daily Prayer With Bishop Crudup "Flood Us With Light!"